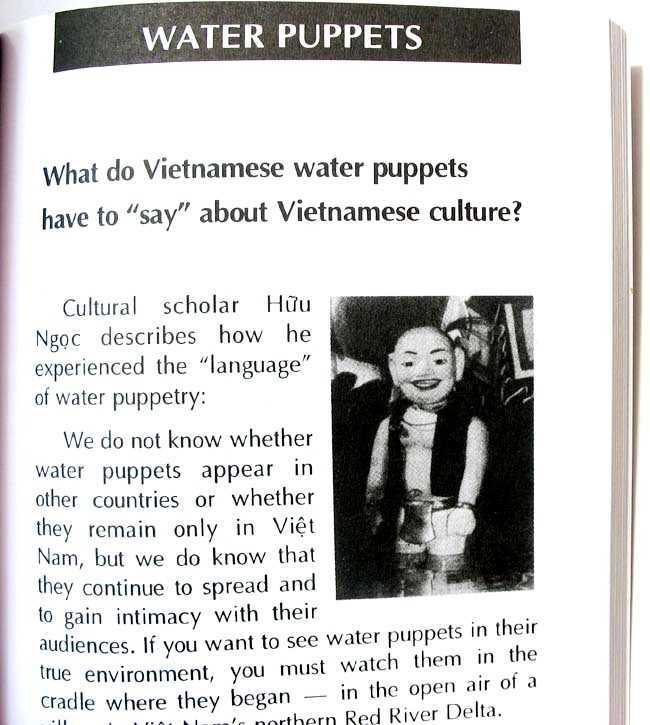 Bilingual book 104 pages with black and white pictures This book provides good information and will answer your questions about Vietnamese Water Puppetry such as: Who is the most important character in Water Puppetry? What is the earliest historical reference to water puppetry? 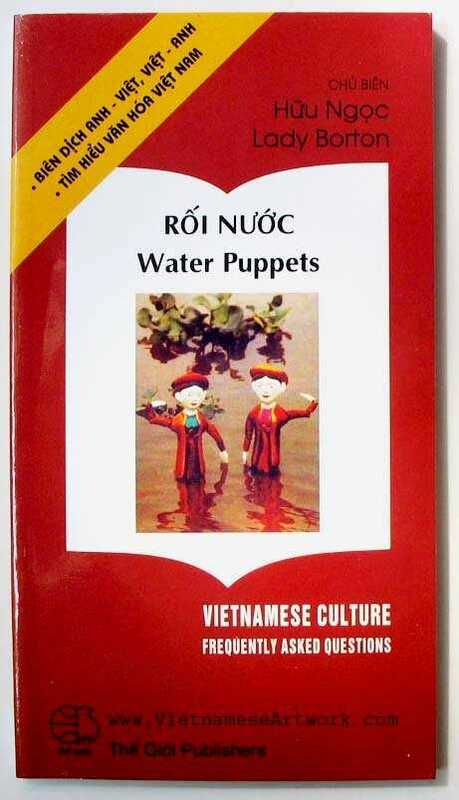 Where id Vietnamese water puppetry begin? How are the puppets traditionally carved and painted? Where is the oldest water puppet theater in Vietnam?